Let's start with the obvious. De Blasio was elected in no small part based on his public criticism of certain police policies, such as Stop and Frisk, and his willingness to acknowledge the racially polarizing aspects of police tactics and boorish behavior in black neighborhoods. That de Blasio has been politically clumsy, if not downright deaf and blind, is painfully clear. His heavy handed response offended the rank and file, who are entirely unused to being criticised by their boss, and exacerbated a rift that required some handholding and coddling. But the unions have thoroughly mishandled the situation and squandered their political capital. First there was the attempt to blame de Blasio for the murder of police officers Raphael Ramos and Wenjian Liu. This moronic bit of thinking was quickly abandoned. However, scores of officers who attended services for slain police officers Raphael Ramos turned their backs on Mayor de Blasio as he spoke at the funeral. (Here and here, for example). Not surprisingly, many were offended by these officers hijacking the funeral of a dead officer for their own political grandstanding. Undeterred, many officers repeated this childish and selfish tantrum at Officer Liu's funeral. That these officers are offended because this Mayor has not reflexively defended the department, as Mayors Bloomberg and Giuliani did on so many occasions, is clear. But to act out like churlish schoolboys denied cookies after lunch is unbecoming. To do so at fallen officers' funerals is downright shameful. Which takes us to the NYPD's slowdown; an ongoing event that the unions gleefully deny, wink wink. They are now making only those arrests that absolutely have to be made, and are foregoing the sorts of quality of life arrests and broken windows policing that have been the hallmark of the department for the past 20 or so years. 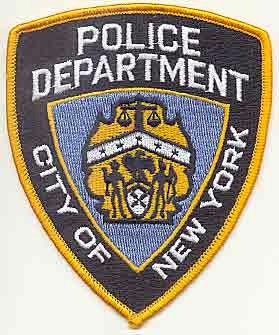 (See, NY Post: Arrests plummet 66% with NYPD in virtual work stoppage). It has not turned out quite as imagined. Presumably, Patrick Lynch and his fellow hack leaders assumed that the slowdown would trigger an uptick in crime, a surge that would have New Yorkers howling for more police activity and put the unions in the catbird's seat, politically speaking. This misguided theory -- which assumes that it was perfectly acceptable to cause untold amounts of New Yorkers to suffer a wave in violent crime if it helped better position union leaders in the battle for the political upper hand -- has so far failed miserably. First and foremost, there has been no crime wave. Thus, the simple conclusion is that these unnecessary arrests were, in fact, truly unnecessary. Cutting back on drug and petty offense arrests, the issuance of criminal summonses, has little to no impact on the overall crime rate in the City. Thus, one could readily conclude that much of the NYPD's activity over the years, including the heavy presence in minority neighborhoods, has been entirely wasteful and useless. Additionally, one could also conclude that, if the officers could engage in a work slowdown with little to no impact on actual crime, it means we have far too many police officers on the payroll. Do I really mean that? No. The slowdown has been in place for a week or so, and there is no way to truly measure it's impact. More to the point, most everyone in the City understands this is a temporary temper tantrum, and nothing more. As we stumble along, it is remarkable to watch Patrick Lynch and his cronies piss away all the political capital that de Blasio so ineptly handed them. Meanwhile, the wounds within the City remain unattended to. The mayor will have to publicly acknowledge the inelegance and artlessness of his words. The unions must come to terms with the idea that the NYPD bears substantial responsibility for rifts between the officers and the communities they police, and that accepting and addressing these issues is a necessary and positive step forward. Whether this can or will happen remains to be seen, although, ever the pessimist, I am playing the odds and shorting the situation.